A recent trip to the Yorkshire Dales by new NERC CASE/St Andrews funded PhD student Robert Barbour and co-supervisor Althea Davies provided a brief introduction to the history and landscape of this beautiful part of the world. Using a range of palaeoecological proxies and historical documents, Robert will investigate the history of moorland burning in the Dales – specifically, how this key upland management practice and its impacts on vegetation and carbon accumulation have varied over the last millennium. 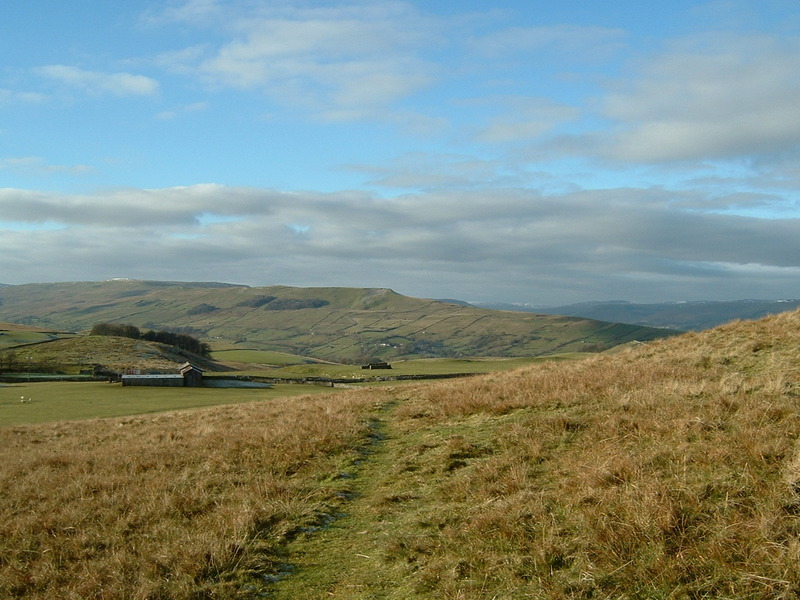 LEFT: A classic Dales landscape to the south of Bainbridge, Wensleydale: sheep pasture, hay meadows and isolated farms and field barns in the valleys, with moorland and extensive areas of blanket peat higher up. 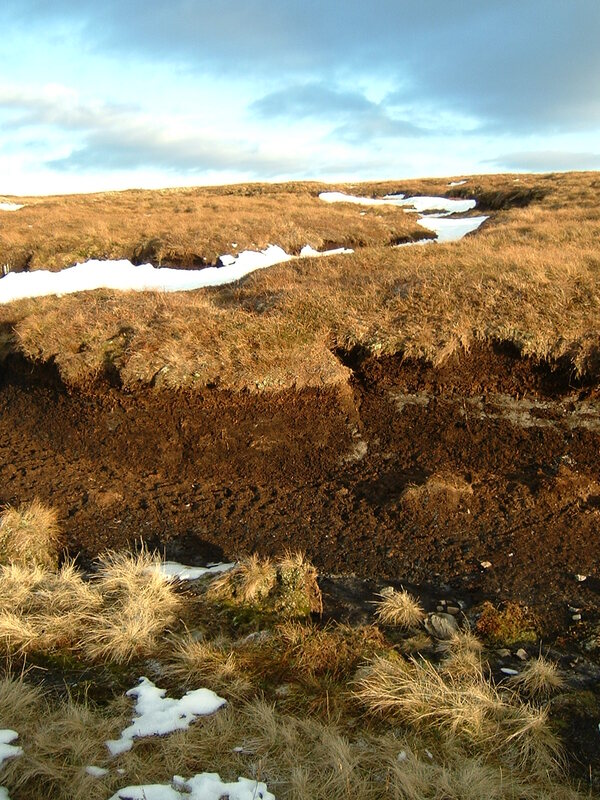 RIGHT: Blanket peatland to the north of Swaledale: what limitations does extensive peat degradation in this area impose on palaeoecological analysis? The trip showcased how incredibly varied the Dales are in terms of their geology, vegetation, land-use, and archaeological features, which presents both opportunities and challenges. For example, areas with a limestone influence often support a distinct mosaic of vegetation types (the historical development of which has received limited research) and a large amount of documentary and archaeological evidence for past land-use, but tend to have fewer peat deposits which can provide high resolution palaeoecological records up to the present day. Meanwhile, the bleak expanse of blanket mire visited above Swaledale and Arkengarthdale contains a huge number of potential palaeoecological study sites and extensive areas of moorland managed by frequent burning. However, peat cutting, drainage and pollution from lead mining have caused considerable peat degradation, which may limit the quantity and quality of palaeoecological data. Determining the condition and location of peat records, vegetation and land-use types, and the amount of historical evidence available in potential study sites will be crucial over the coming months in shaping the research questions.